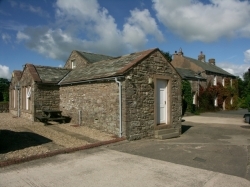 If you are looking for a small animal vet in Penrith, Carlisle, and the surrounding areas then please do not hesitate to get in touch with professionals here at The Green Veterinary Surgery, Skelton. The practice was established 60 years ago. 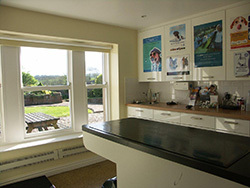 We are also an Approved Veterinary Nurse Training Centre. 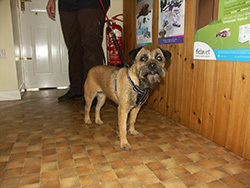 We keep up to date with the equipment and knowledge to provide for your needs, and the needs of your pet. With our expertise and knowledge you can be confident that you and your pet are in the safest of hands. Range of In-House Blood Tests Available for diagnosing or simply checking you pet. We host a vaccination amnesty in the late spring, so if your pet's vaccination programme has lapsed it will be re-scheduled by us. Keeping up to date with vaccinations seems to be a requirement for maintaining Insurance Cover by many Pet Insurance Companies, so for your peace of mind, please check your policy small print. We also have many other special offers available. If you would like to find out more then please do not hesitate to contact us today. Please remember that we are always here for you and your pet. We work on an appointment system for consultations, but please let us know, as we offer flexibility of appointment time, if you can not manage 9am-5pm. We offer free nurse advice on weight, neutering, flea and worm treatments, and we recommend that you bring your pet for regular vaccinations, and keep up to date with worming, flea and tick treatments to keep your pet in top class condition. To help with this, you can take advantage of our Practice Health Plan, offering you a value for money option on Preventative Health Care, while spreading your costs for easier budgeting through the year. We now offer 'Agria Activated' in our Puppy and Kitten Packs , which we think offers one of the best health insurance covers and the best customer service for you. Click the Agria Banner below and get a quote today! Terms, conditions and excesses apply. Agria Pet Insurance Limited is registered and incorporated in England and Wales. Registered number: 4258783. Registered office: 2b Alton House Office Park, Gatehouse Way, Aylesbury, Bucks HP19 8XU. Agria Pet Insurance Limited is authorised and regulated by the Financial Conduct Authority. Financial Services Register number: 496160. Please ask for more details of this by calling the surgery on 01768484258, or visiting us to discuss your requirements. Other Insurance Companies and Types of Insurance are Also Available on the Market. We do provide our own 24 hour, out of hours, emergency veterinary care to registered clients, those needing a veterinary surgeon, and visitors to the area. If your animal has been involved in an accident, is ill, or you are concerned about them in any way, please contact us on 017684 84258 and we will arrange for our duty vet to call you, or arrange to meet you at the surgery at Skelton. There is an additional fee for the out of hours service to cover for the need to provide this service, much as you might find with other emergency providers who you need to call. This is only charged where we actually see you at the surgery. Please feel free to discuss this with the member of staff you speak to when you call.